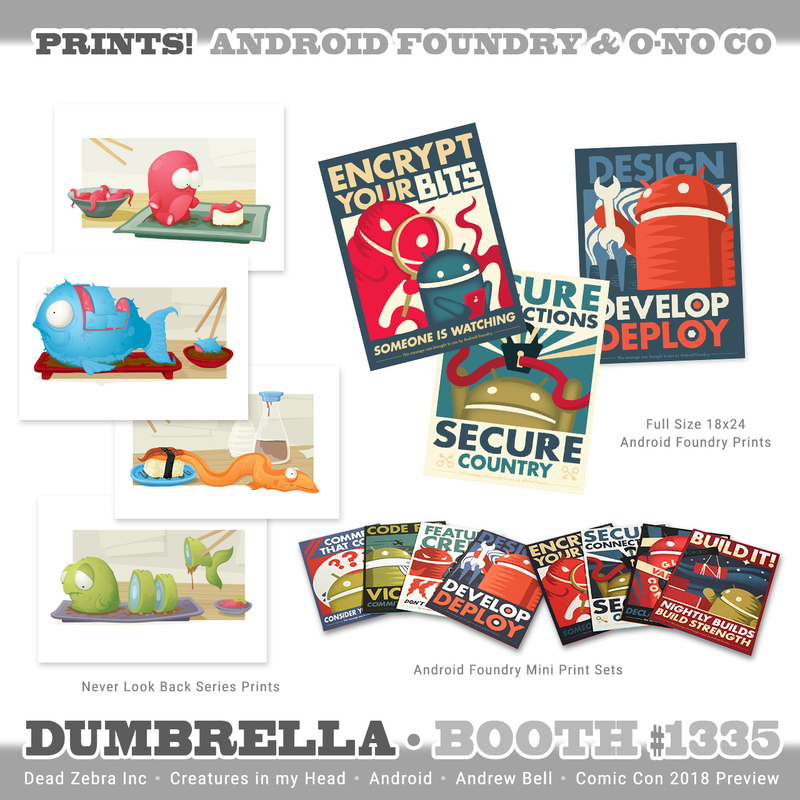 International Comic Con 2018 Preview! Take a deep sniff… ahhh.. you smell that? Must be summer convention season! 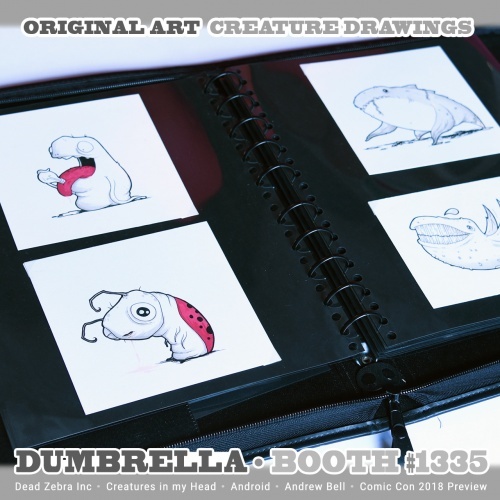 That means once again I’ll be back in San Diego from July 18-23rd at the Comic Con International with my dumb-bud R. Stevens at “Dumbrella”, booth #1335. Here’s a peek at some of the items I’ll have on hand! Classic Last Knight and Morimoth enamel pins are back in a beautiful metallic bronze finish, plus some tasty new pins from the O-No Food Company featuring characters from the Single Servings crew! Available for $10 each. Speaking of tasty, I also put together this exciting 4-pack of “microwave button” pins! You didn’t know how empty your life was until just now! 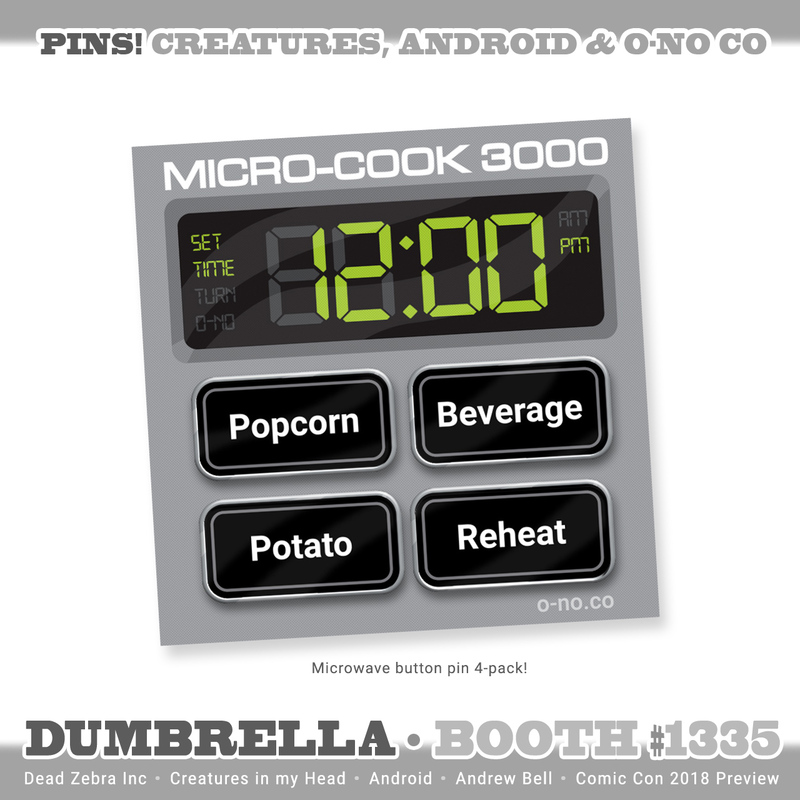 Reheat your passion for convenient cooking for only $10 – 4 pins for the price of one! 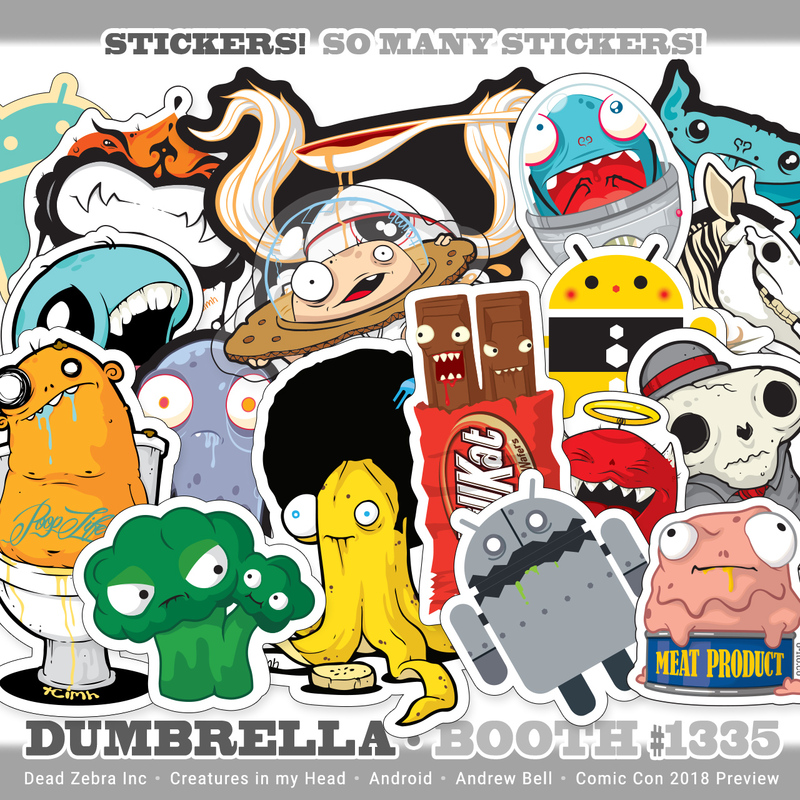 All those and a whole bunch of others are ready to poke holes in your belongings! Collectibles! 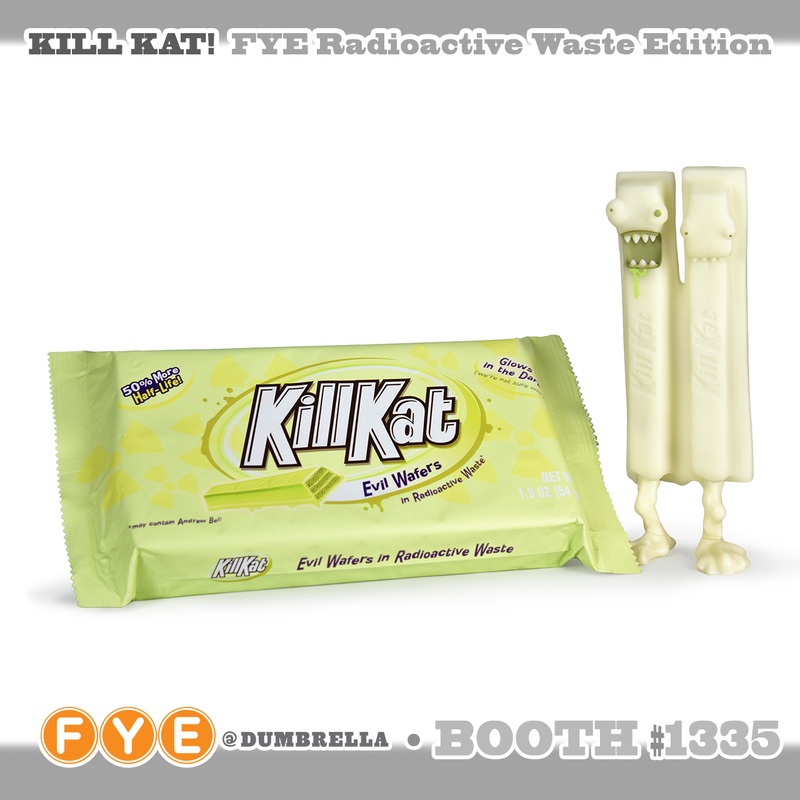 Limited quantities of the Matcha Green Tea edition Kill Kat will be available ($45), along with some regular Chocolate editions ($40). 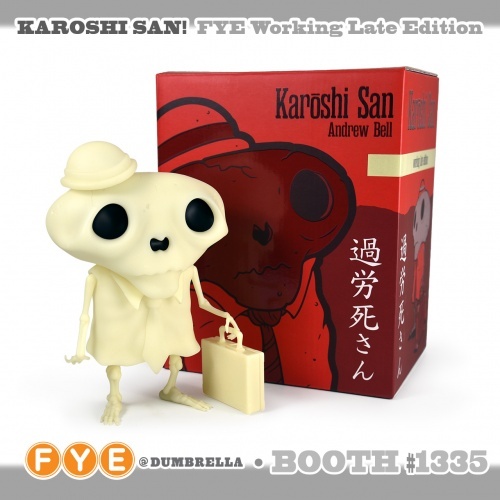 Plus Single Servings, Jason Limon’s Stink Box cats, Karoshi San and more! 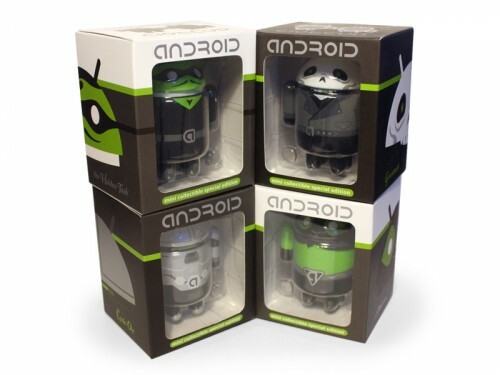 Android Robot Revolution makes its Comic Con debut, stop by the booth and remix some robots! 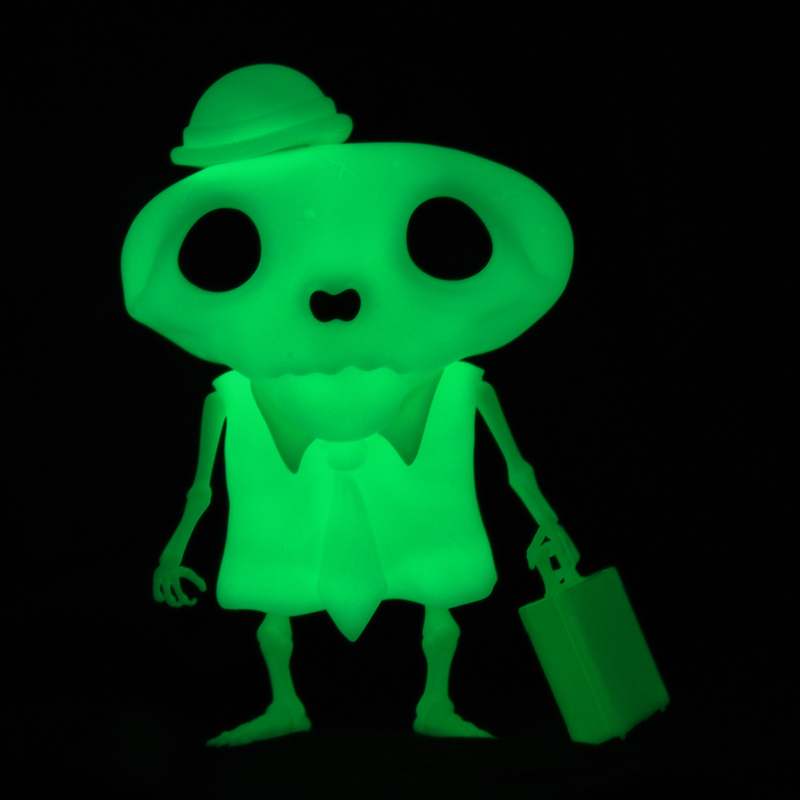 We’ll also have a few special editions on hand as well as our 4″ Andy figures for $12! We’ll have a special sneak preview sale of the new Heroes & Villains III series, featuring Black Cat 5, the Flash Drive, Crypto Joe and the Ransom Mayor! 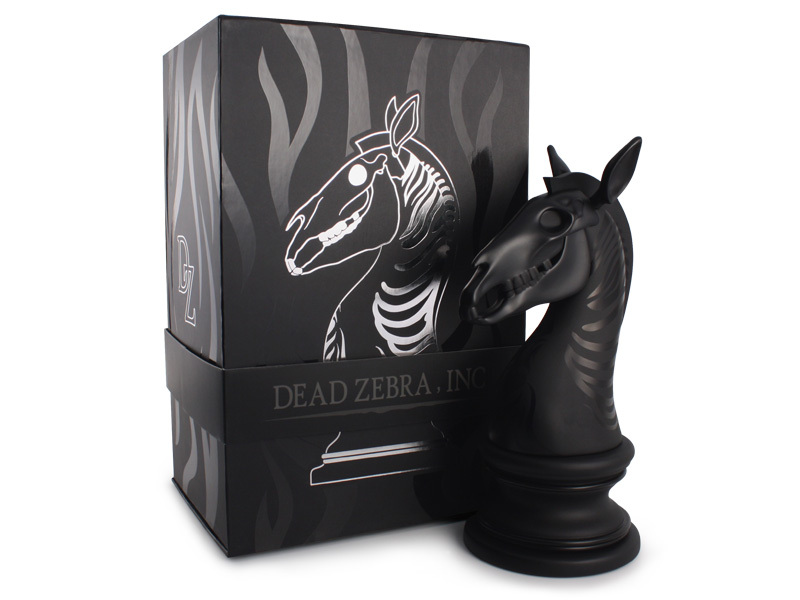 Quantities are very limited at the convention, but they will be coming later this summer to the Dead Zebra Shop! Special preview price of $45/set. Stickies! All the stickies! Lots of high quality full color die cut silkscreen stickers for only $1 each! O-No Uni! The “Never Look Back” print series continues with the 5th installment, some unfortunate uni. The print is making it’s debut at the convention and available online shortly after! $10 each (or save with sets!). We’ll also have some Android Propaganda posters in full 18″x24″ size for $15 and below, or in cubicle friendly 5″x7″ sets of 4 for $20, and a few letterpress Creatures prints for $30. I’ll have a selection of original Creatures ink and pigment drawings available for $100 each. Don’t see it on the table? Just ask! As if that weren’t enough evil glowing for one convention, FYE will also be presenting the new glow-in-the-dark “Working Late” edition Karoshi San figure! Limited to only 100 pieces! 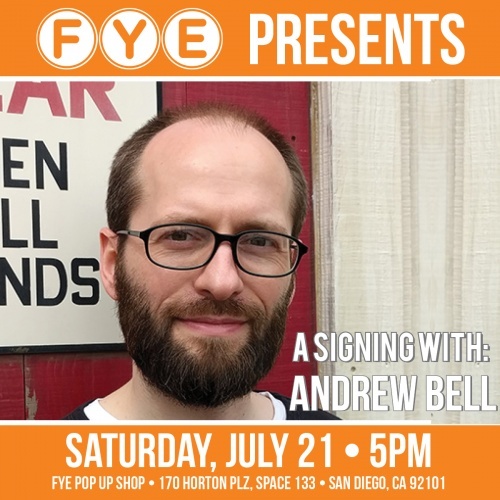 In addition to Convention Center duties, I’ll be doing a signing at the FYE pop-up shop in Horton Plaza on Saturday evening! 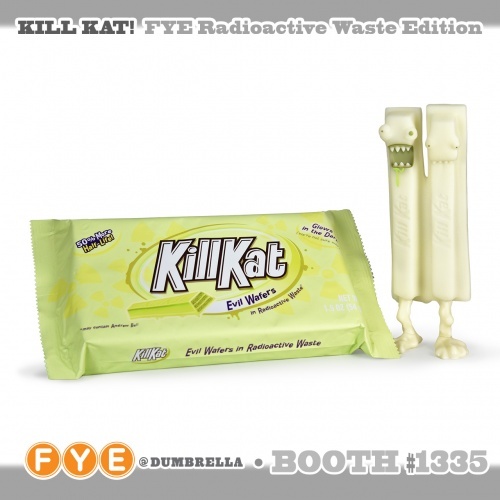 Come by from 5-6pm to say hi, get things signed, and check out an extended selection of FYE goodies! It’s just a few minutes walk from the convention center. Looking forward to seeing some of you (un)lucky folks in San Diego! Sweet treats from the O-No Food Company! 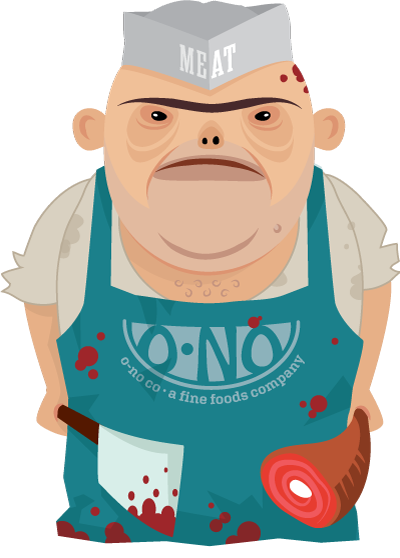 We’ve got some fresh releases from the O-No Co Food Processing Plant (and Crematorium)! 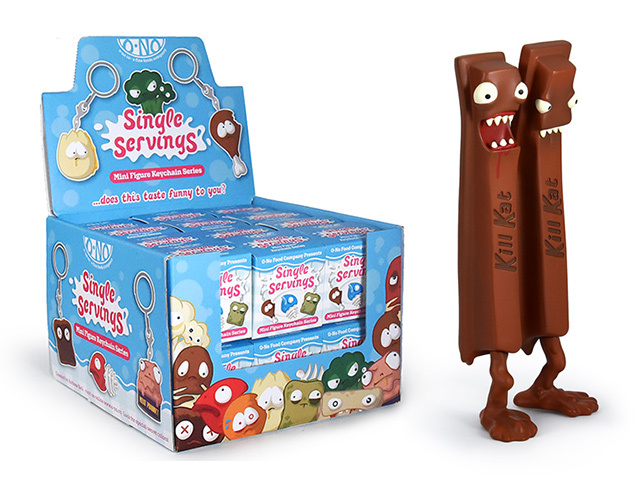 We’re proud to announce two new products to satisfy your hunger for slightly deranged food-themed products.These will be arriving at retailers online and off in October and November respectively. We’ll be introducing some of the new characters over the next few weeks over on instagram, so make sure to follow! 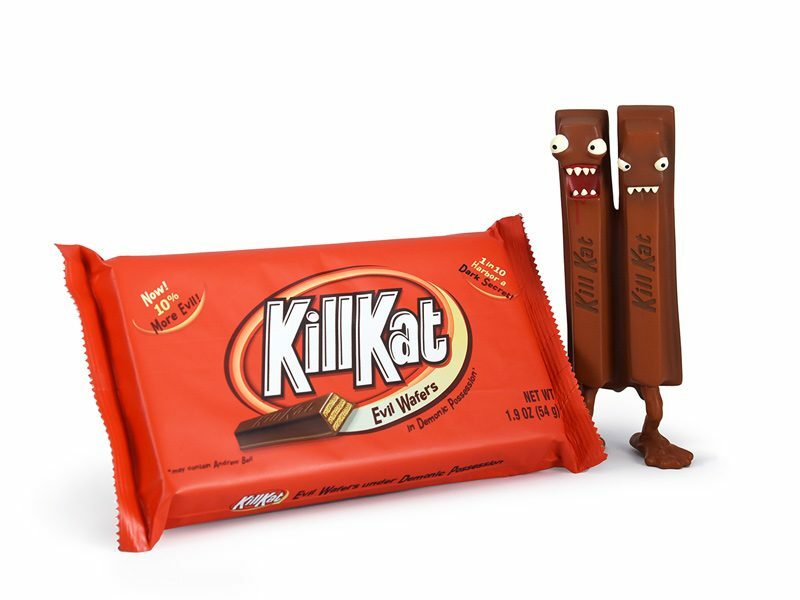 First up is Kill Kat, a killer candy with split personality and a minor demonic possession problem.. I’m sure it’s just a phase. 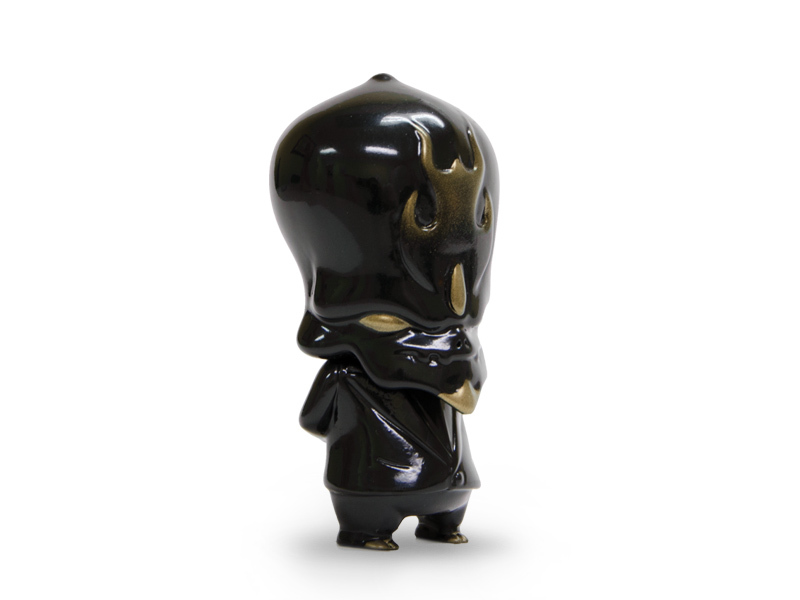 Sweet and psycho, this 6″ vinyl figure is based on an original resin sculpture from a few years back, and comes complete with a custom candy style wrapper. 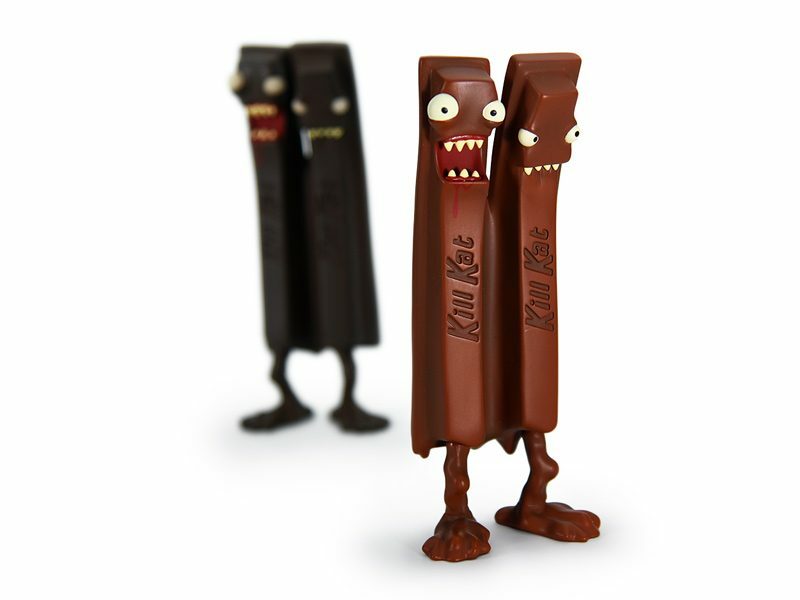 1 in 10 of the Milk Chocolate edition include a Dark Chocolate chase with glow in the dark eyes! Break one off at the DZ shop and select retailers late October 2017 for $40. 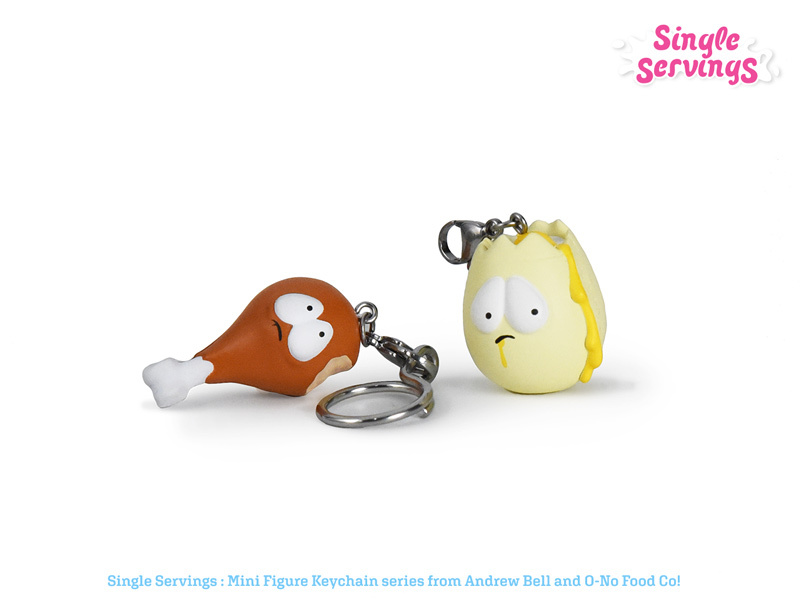 We’ve also cooked up a brand new mini collectible keychain series – ‘Single Servings‘ – featuring all sorts of sad and sick foodstuff. 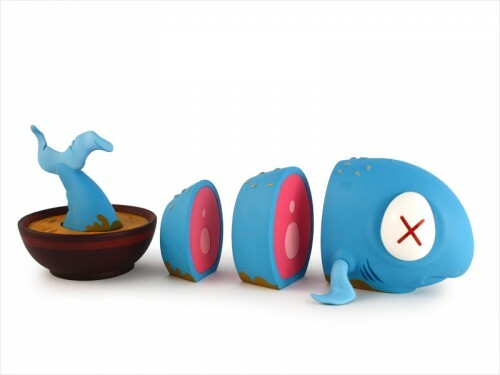 Pick up a Torn Terry the truncated tuna, Peeled Peter the partial potato, Putrid Patty pet food, Moldy Morgan the sickly sandwich, Spoiled Spencer the rotten egg and many more. Someone took a taste of Bitten Barry and Shocked Shelly finds out life isn’t all it’s cracked up to be. Burnt Bernie spends little too long in the toaster oven and Moldy Morgan has been sitting in the back of that office fridge for a few weeks now.. Single Servings start shipping mid November for around $6.50 each. The series features 8 different sculpts and 20 total unique characters to collect! 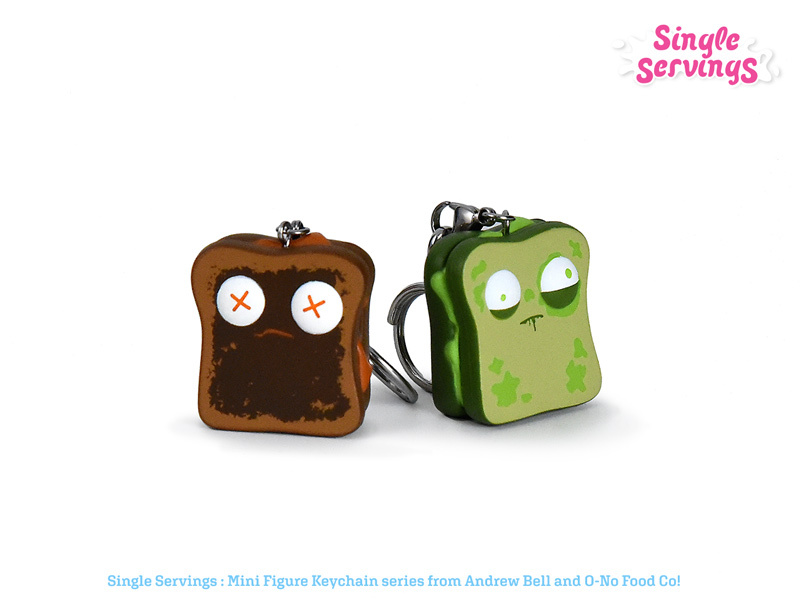 Cases contain 24 individual blind boxed keychains at approximately 1.5” each, including a metal clasp, 20mm keyring and a sticker! If you’ve been following the teasers on instagram then you probably saw this coming. Out with the new, in with the old! We’re re-visiting some old favorites with special dark editions that we’ve been slowly collecting (and selfishly hoarding) for years! To celebrate we’re dividing up the runs and taking them on an east coast / west coast adventure, with a final stop online for everyone else! 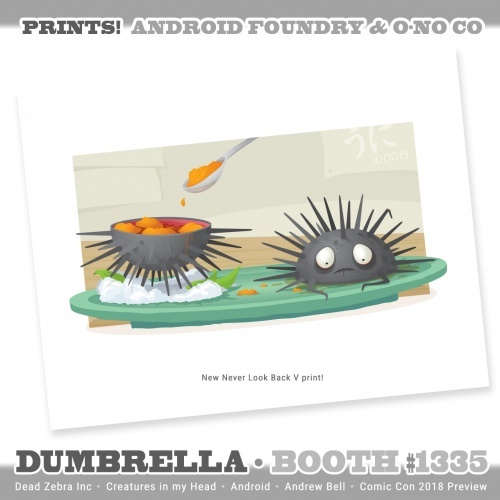 Friday, October 10th at New York Comic Con – Myplasticheart Booth #113. Things kick off in NY! I will be signing and doodling at the booth 2pm on Saturday. I will be signing and doodling throughout the weekend. Finally (appropriately) on black Friday for those who can’t make it to either event, we’re bringing them to the web shop. All of these pieces are signed and numbered. A very few per event will be available in a special matching bundle, but most will be sold individually. 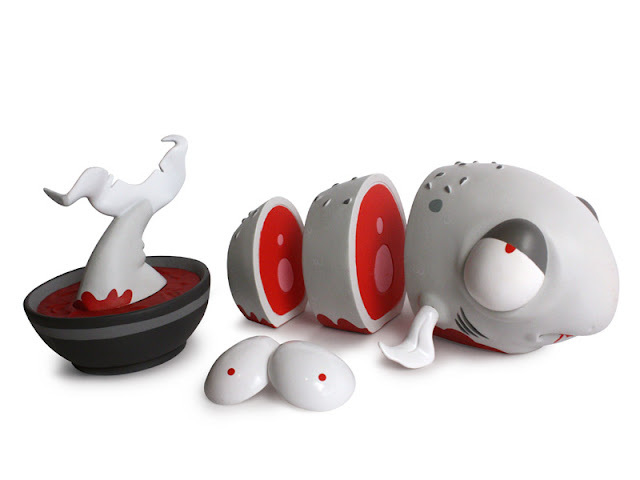 This bloody little box of fun is a Rivet Gallery exclusive edition of 150pcs, on sale tomorrow February 14th at 12pm EST online and in their Columbus,OH shop! Hero & Villain Android Summer & O-No Sashimi release info! 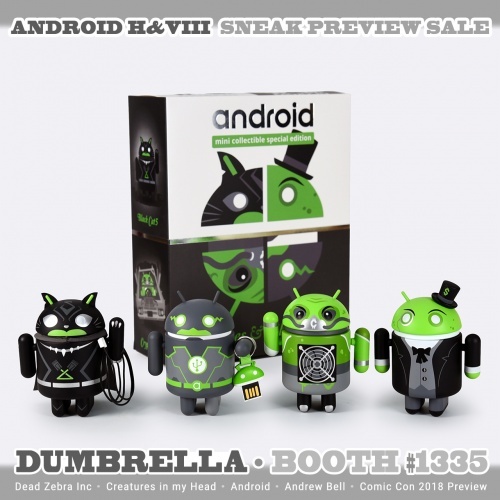 Both Android Mini Collectibles “Heroes and Villains” Summer 2011 sets and O-No Sashimi “Bluefin” edition will be available at the Dead Zebra Shop starting Monday, August 1st at 11am EST (15 GMT) and again at 11pm EST (3 GMT August 2nd – time zone converter here). 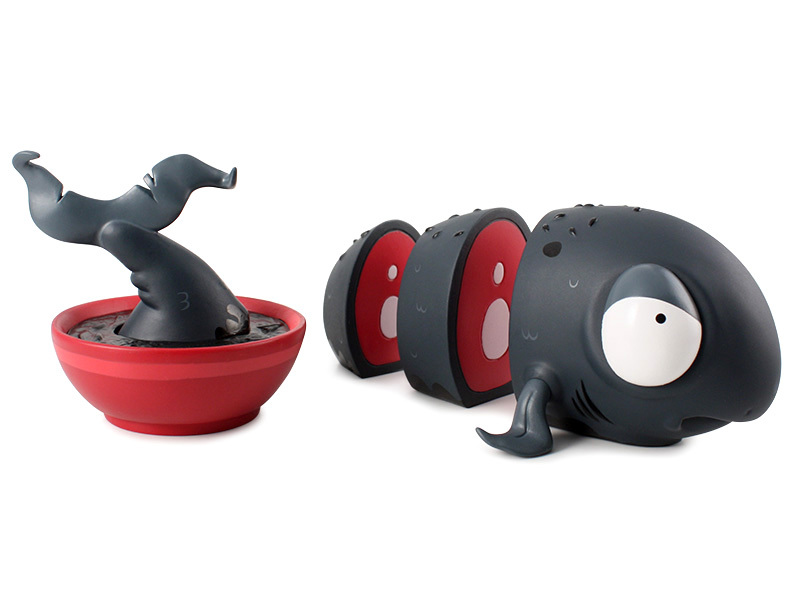 Limited to 1 Android set and/or 1 Sashimi per household (yes you can try for both but only one of each!). It’s a good time to brush up on the Limited Edition release FAQ! 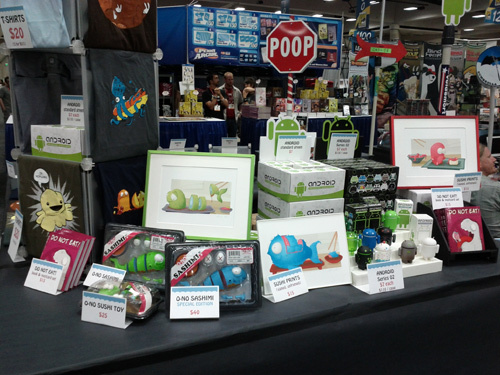 Thanks to everyone who made it out to San Diego for this years Comic-Con! 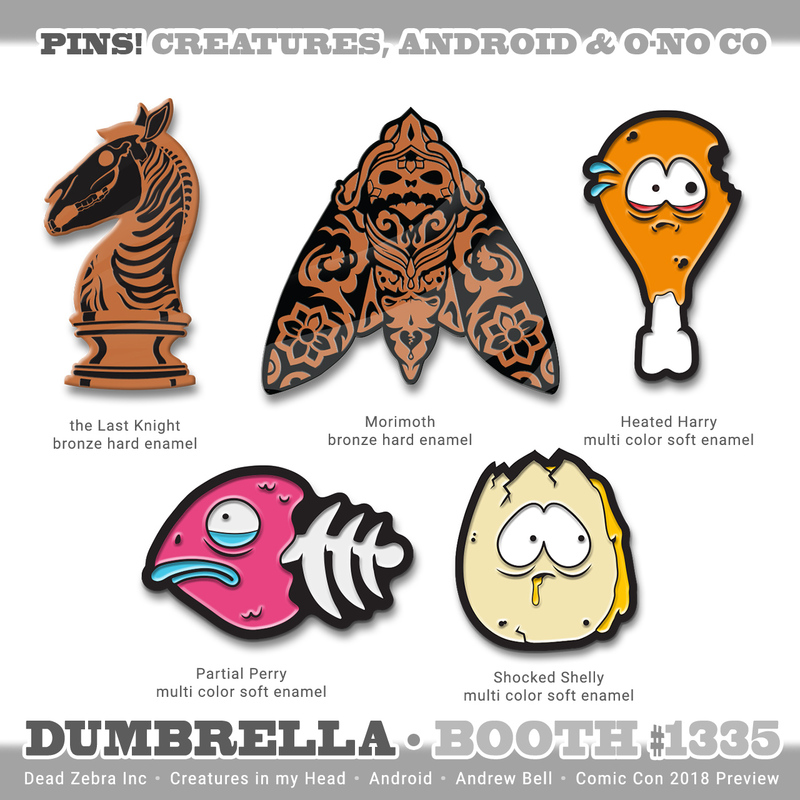 We blew through some Blue Fin Sashimi at Dumbrella, while the special edition Hero and Villain Android mini collectibles battled it out over at the DKE booth. We even won an award somewhere in there, it’s still a bit of a blur.. If you missed out on the comic-con madness, the special edition Androids will be available in the Dead Zebra Shop starting August 1st, and they’ll be hitting some of our Asian retailers shortly. A smaller quantity of Blue Fin Sashimi figures will also be available! Details and times to follow shortly after I recover from the convention and fly back to New York!